You are currently browsing the tag archive for the ‘gedroogde uitjes’ tag. About my jubilee bento. 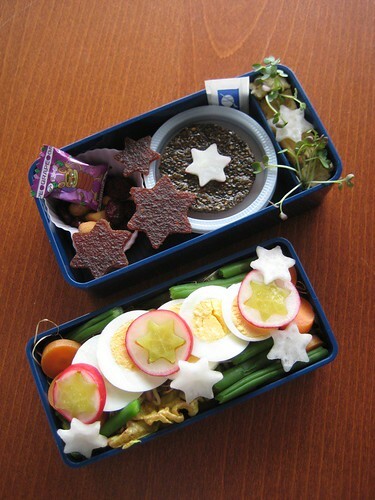 Gado-gado is a great bento filler because it should be eaten at room temperature. The veggies are either blanched or raw so it’s easy to use leftovers ;) Of course it can be nice to have a hot peanut sauce with it, but roomtemp or cold is fine. So what do you see in my bento?